Key words: Animal discrimination learning, radical behaviorism, history of psychology, learning theory. I have two main research interests, one in my daily work in the lab, and the other in theoretical writing. The lab work, in Walters Life Sciences, is animal psychophysics – the sorting out of different frequencies of flickering light by pigeon subjects. It concerns the way in which pigeons (and we) identify, discriminate, and classify the stimuli around us. I have published some data already, along with data presented at national meetings, that suggest an "adaptation-level" effect. More will be coming, as we catch up with the data we already have. My lab currently runs with one graduate student (another is on the way) and several undergraduates. Last year (2005) I served as a mail reviewer for an NIH proposal dealing with flicker fusion and Alzheimer's syndrome, revealing an unexpected practical application. I am better known for my writings on the history of psychology and on radical behaviorism. My Theories of Learning (1990) textbook is still in print – and used – and a history of psychology text is in process. Other contributions appear in several journals and in an MIT book chapter, in press. Malone, J. C. (2009). Psychology: Pythagoras to Present. Cambridge, MA: MIT Press. Malone, J.C. & Perry, S.R. (2008) Santayana Told Us, Or The Prevalence of Radical Behaviorism. In Innis, N.K. (Ed. 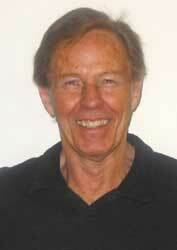 ), Adaptive behavior: A festschrift for J.E.R. Staddon. Cambridge, MA: MIT Press, 247-268. Malone, J. C. (2006). Response-Contingent Reinforcement: Notes on the Law of Effect. European Journal of Behavior Analysis, 7, 103-106. Malone, J. C., Armento, M. E. A., Nemeth, R., Billington, E. J., Carpenter, C. N., & Andrews, K. B. (2004). Adaptation-level effects in discrimination of flicker frequency. Behavioral Processes, 65, 95-109. Malone, J. C. (2004). Modern molar behaviorism and theoretical behaviorism: Religion and science. Journal of the Experimental Analysis of Behavior, 82, 95-102. Malone, J. C. & Lay, N. O. (2004). Skinner. In Watson, T. S. & Skinner, C. H. (Eds.) Encyclopedia of School Psychology, New York: Kluwer, 302-305. Malone, J. C. & Carpenter, C. N. (2004). Watson. In Watson, T. S. & Skinner, C. H. (Eds.) Encyclopedia of School Psychology, New York: Kluwer, 370-371. Malone, J. C., Hall, J., & Armento, M. E. A. (2004). Pavlov. In Watson, T. S. & Skinner, C. H. (Eds. ), Encyclopedia of School Psychology, New York: Kluwer, 226-230. Billington, E. J., Skinner, C. H., Hutchins, H. & Malone, J. C. (2004). Varying problem effort and choice: Using the interspersal technique to influence choice towards more effortful assignments. Journal of Behavioral Education, 13, 193-207. Malone, J.C., Armento, M.E.A., Epps, S.T. (2003). What color is the sky on your planet? A review of Hayes and Ghezzi (Eds), Investigations in behavioral epistemology. Behavior and Philosophy 31, 47-61. Malone, J.C. (2003). Advances in behaviorism: It's not what it used to be. Journal of Behavioral Education 12, 85-89. Mahadevan, R., Malone, J.C., Bailey, J. (2002) A behavioral analysis of exceptional memory. Behavior and Philosophy 30, 1-13. Malone, J.C. (2002) Ontology recapitulates philology: Willard Quine, pragmatism and radical behaviorism (abstract). The Philosopher's Index. Bowling Green, OH: Philosopher's Information Center. Malone, J.C. & Cruchon, N.M. (2001) Radical behaviorism and the rest of psychology: A review/precis of Skinner's About behaviorism. Behavior and Philosophy 29, 31-56.